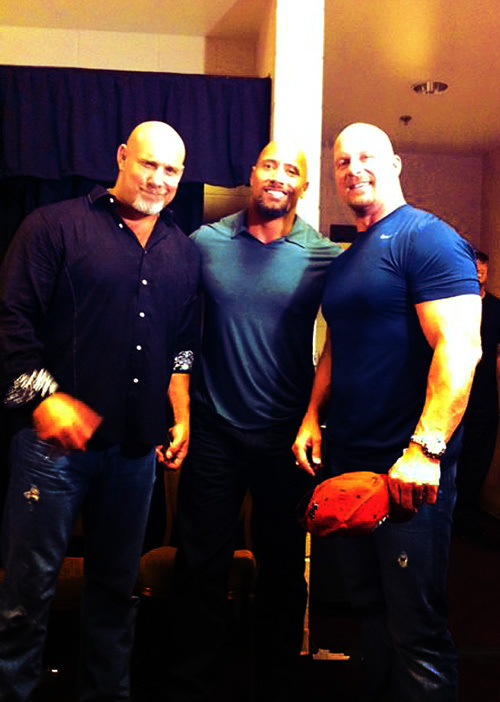 Dwayne Johnson,Bill Goldberg,Steve Austin. . Wallpaper and background images in the Dwayne "The Rock" Johnson club tagged: dwayne johnson goldberg steve austin. This Dwayne "The Rock" Johnson photo might contain знак, плакат, текст, классной доски, and доске.